While doing automation of https site there are chances when you get the following error. Reason: This certificate is not issued by some valid authority, it's a self signed certificate. Create a new profile and add this certificate in that profile by using following steps. 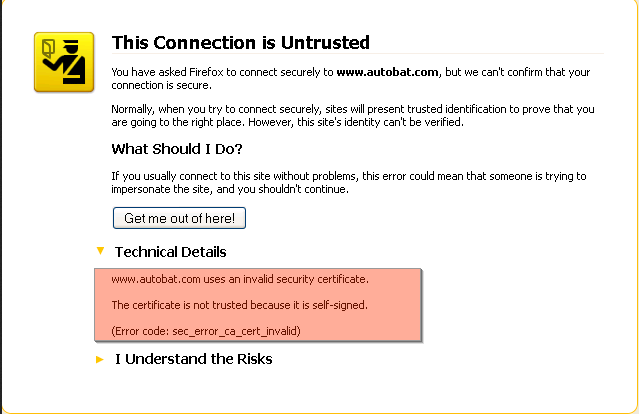 Make sure you are accessing site though the domain for which certificate has issued. If you get the above screen after accessible the site, You need to add certificate in Exception so next time it doesn't give you error. 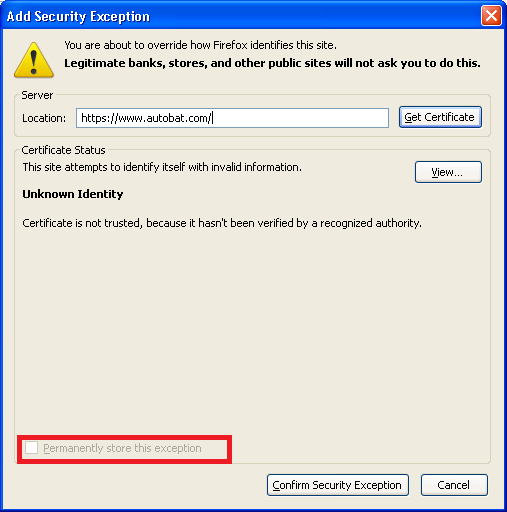 However while adding certificate make sure "Permanently store this exception" check box is selected. If "Permanently store this exception" is enable the history. Now you need to give path of this newly created profile while creating the object of WebDriver.